The ​New York Yankees are heading into the start of the 2019 campaign without their ace, ​Luis Severino, but it might actually not be as terrible as it seems at first glance. ​​"I think their rotation is gonna be fine.... It might help Severino that he misses the first month and doesn't throw 200 innings and then when they get to the playoffs, he's really really fresh and dominant," Girardi said. The man has a point. In each of the past two seasons, Sevy has come within 10 innings of the 200 mark for the year. And both times, he tailed off in production in the second half. It was especially noticeable last year, when the' ace's ERA rose from 2.31 in the first half to 5.57 in the second half. Easing up his workload could help keep him fresh for what is certain to be a heated playoff race. 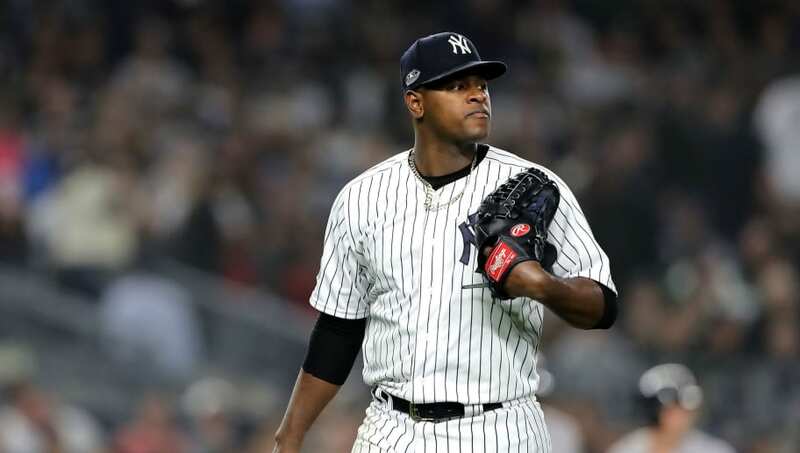 ​​Inflammation of the rotator cuff is nothing to be trifled with, but the team and Severino caught the injury early and have been sure to take a slow and deliberate approach to recovery. He's made steady progress so far. The Yankees also play their first nine games against the Orioles and Tigers, two teams that combined to lose 213 games last year. If there was an ideal stretch for him to miss time, this would be it. It hurts to watch one of the best starters in the game sit on the sidelines, but it just might be the difference-maker for the Yankees come October.